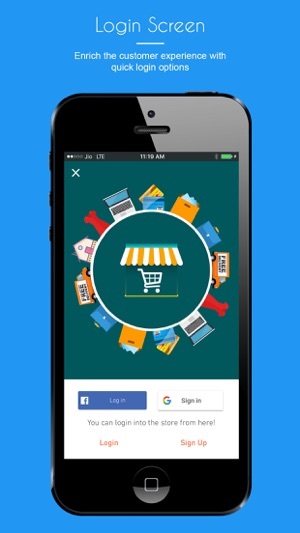 Knowband's Magento iOS Mobile App Builder allows the store owners to create a native iOS mobile app without any coding or programming knowledge. The Magento Mobile Apps built with this module are 100% synced with your store and do not let you struggle with manual synchronization. The Magento iOS app builder is the pre-configured framework to take your website business to the mobile platform. Magento Nautica App Builder is the demo app to experience your own store functioning on the mobile app before actually purchasing module. 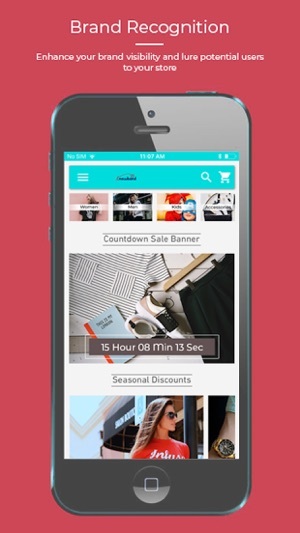 The Magento iOS Mobile App Maker has brought a flexible home screen customization update in the iOS apps. The store admin gets complete control to customize and design the home screen as per the need. Various customizable attributes are available for home screen layout. The Magento Mobile App Maker allows the store owners to showcase the store logo on the header of the app. 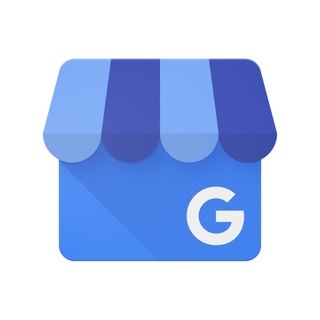 This way the eCommerce mobile apps will provide visibility to your brand as well along with the products. 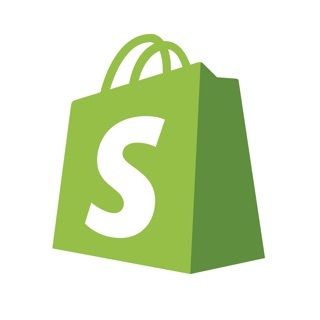 The Magento Mobile App Builder for iOS establishes real-time synchronization between the website and the mobile apps. The store admin can easily manage the store inventory and order details on the app without any manual synchronization. 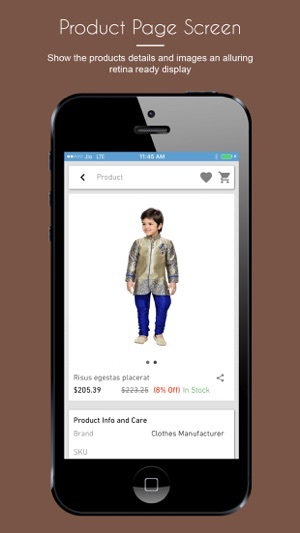 The Magento Mobile App Maker allows the store owners to choose the desired theme color for their app. The Magento Mobile Apps are both iPad and iPhone optimized. Products swipe display functionality is also provided in the apps for easy product purchase. The Magento eCommerce Mobile App Creator supports all sorts of products on the app like simple, configurable, bundled and virtual/downloadable. The Magento Mobile App Builder for iOS supports all sorts of website payment methods on the mobile apps and provides PayPal and Cod by default in the apps. Other native payment options like Stripe, Braintree, Apple Pay, PayU etc. can also be incorporated over a fair amount of fee. The Magento iOS Mobile App Builder even supports all type of shipping methods like FedEx, USPS etc. The Magento Mobile App Creator supports all sorts of languages in the eCommerce mobile apps along with RTL writing support. 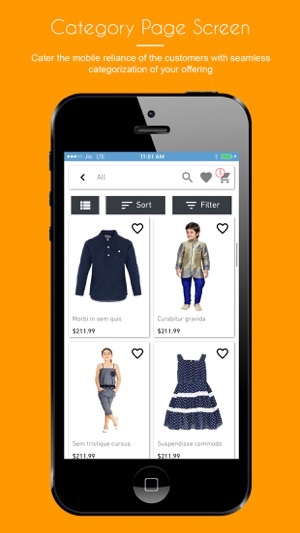 The built-in wish-list option in Magento iOS app allows the store visitors to save their products for later purchase. The Magento Mobile App Builder provides unlimited push notifications in mobile apps for easy product promotion and seamless marketing. The Magento Mobile App Builder supports all type of coupons and vouchers in the iOS apps. 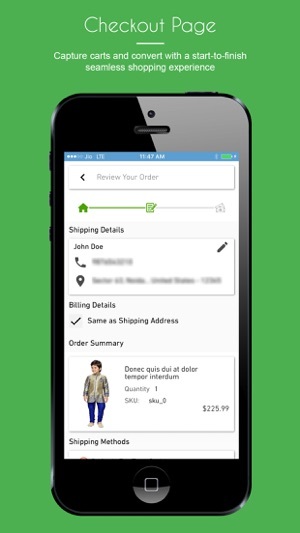 The Magento Mobile App Creator offers effective order tracking functionality in the iOS apps allowing the users to view the delivery status of previously placed orders. 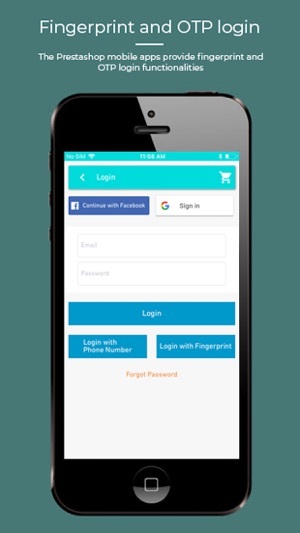 The Magento Mobile App Creator provides complete backend access to the store admin through which every functionality of the app could be managed in a few mouse clicks and button toggles. 1. Dynamic and editable Home screen layout from backend - Admin can add multiple elements on home screen to be shown from backend and also change the position of the elements and the same gets reflected on Mobile app. © 2017-18 Velocity Software Solutions Pvt. Ltd.